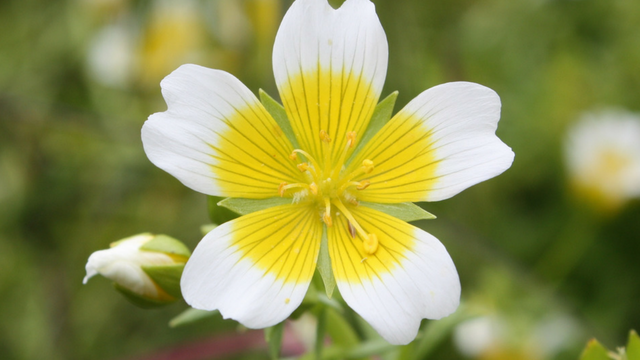 Meadowfoam seed oil is extracted from the seeds of the meadowfoam flower aka limnanthes alba which is found in northern California, southern Oregon, Vancouver Island and British Columbia. The meadowfoam plant is named so due to its resemblance to the white foam on the ocean while in bloom. The seeds are pressed then the oil is refined to produce meadowfoam seed oil. What is Meadowfoam Seed Oil Used For? Meadowfoam seed oil has properties that make it a very unique oil. It contains over 98% long chain fatty acids, which makes it extremely stable and highly oxidative. 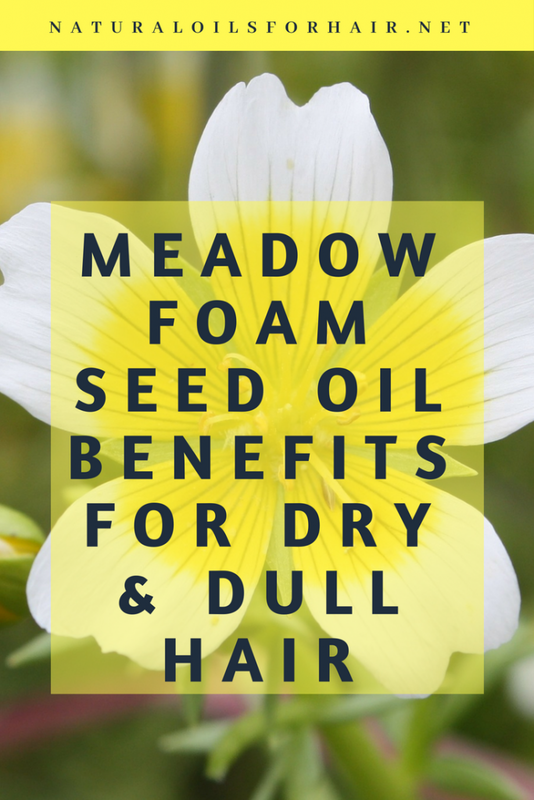 Meadowfoam seed oil has many benefits for hair and skin. Meadowfoam seed oil has properties similar to jojoba oil and is perfectly suited to dry skin and dry hair. In this article, we’ll focus on the benefits of meadowfoam seed oil for hair, how to use meadowfoam seed oil on hair, meadowfoam seed oil vs jojoba oil and where to buy the best meadowfoam seed oil. Due to the long chain fatty oils content, meadowfoam seed oil cannot be absorbed and instead forms a protective coating on the hair helping to retain moisture for longer. Meadowfoam seed oil can help rejuvenate dry or damaged hair, and lead to silky smooth hair after a good deep conditioning session (recipe below). Meadowfoam seed oil provides protection against harsh rays of the sun. The highly oxidative nature of meadowfoam seed oil means it can help extend the shelf life of your DIY formulations. Additionally, it combines well with sweet almond oil, kukui nut oil, evening primrose oil, borage seed oil, and hemp seed oil. Mix 3 tablespoons of meadowfoam seed oil and 1 tablespoon of mafura oil with your favorite cone free deep conditioner. Mix and apply to damp hair after shampooing, smoothing through thoroughly. Twist and pin your hair up and sit under a hair steamer or with a hot towel wrapped around your head for 45 minutes. Rinse thoroughly and continue with the rest of your regimen. This treatment will rejuvenate dry locks over time. You can always buy shampoos with meadowfoam seed oil (recommendations below). However, I prefer adding the oils myself just so I’m sure of the amount going into it. To lock in moisture into the hair and provide UV protection, use as a sealant after applying your leave-in conditioner. Rub a few drops between your palms and work lightly through your hair before you finalize a dry style such as a braid out or a twist out. Both meadowfoam seed oil and jojoba oil have similar profiles – a waxy texture that resembles sebum produced on the scalp. However, jojoba oil is more expensive than meadowfoam seed oil. Jojoba also contains myristic acid and linoleic acid. They are both commonly used in balms, lotions, and creams.